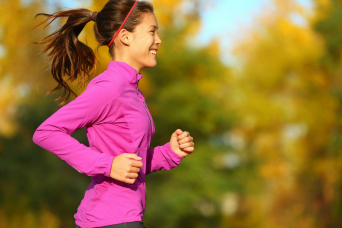 Move from the couch to running 5K in 10 weeks. Perfect if you’re not currently running and have limited to no fitness experience. Want to go from the couch to 5K? This 10 week ecourse will guide self-confessed ‘non-runners’ to go from unfit to jogging 5K! Begin at any time. Don’t put it off again, jump on board now. If you have a fun run event you’re training for, we’ll help you work out the date your training needs to begin so your fitness will peak perfectly for your event. If you don’t have an event in mind, start now and in 10 weeks you’ll be running 5K! You’ll need to commit to doing some running homework three times per week for an hour or less, and spend around 30 minutes once per week reading your lesson and completing a task. With a commitment of around three and a half hours per week, you’ll be feeling awesome. You may even start to think of yourself as a jogger! If you follow the training plans and read your lessons, you will be guaranteed to be jogging 5K in 10 weeks time. Time to stop thinking about it and start your training!